Nabeel Qureshi. Answering Jihad: A Better Way Forward. Zondervan, 2016. 176 pp. $14.99. The conversation was surreal and made me realize that Christianity is not the only religion that faces challenges with both nominalism and syncretism. Nominalism is when “followers” are followers in name only. Syncretism is the blending of orthodox religious beliefs with various other worldviews—in this case, the blending of Islam with the tenets of pluralism. On the other end of the spectrum from Asah, however, are the radicals, the extremists, the mujahideen, the men and women who wear vests fitted with shrapnel and C-4 that explode in crowded markets filled with people shopping for dinner. On this end of the spectrum are the jihadists. And it’s these two extremes which leave me—and millions of other people—with questions. Is there such a thing as “peaceful Islam”? Surely, there are peaceful Muslims; I know them. And if there are peaceful Muslims, who are the “real” Muslims, that is, which Muslims are authentic to the faith expressed in their canonical texts? 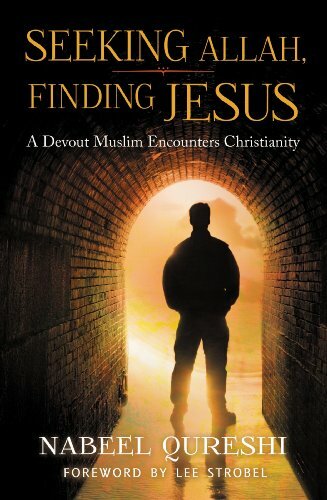 Last Sunday, a man in our church handed me a copy of Answering Jihad: A Better Way Forward by Nabeel Qureshi. He told me that he was on the “launch team” for the book and he’d like me to read it. As a pastor, I have a stack of books a dozen high which I am to read. But after I looked at it closer, Answering Jihad didn’t go to the bottom but moved to the top. 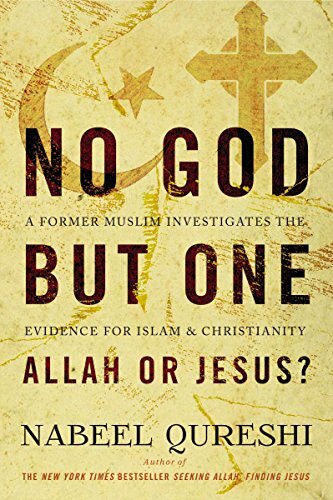 I had heard of Qureshi because of his book Seeking Allah, Finding Jesus, which has received much attention (becoming a New York Times bestseller, for example), but I didn’t realize his erudition, his impressive educational resume. Qureshi is a speaker with Ravi Zacharias International Ministries, holds an MD from Eastern Virginia Medical School, an MA in Christian apologetics from Biola University, an MA in religion from Duke University, and is pursuing a doctorate in New Testament studies at Oxford University. In the preface, Qureshi tells some of his own story. After the 9/11 attacks he was forced to think about his Muslim upbringing like never before. In the end, Qureshi saw himself with only three options: apostasy, apathy, or radicalization. He chose apostasy and embraced Christianity. Although outspoken about his faith, until a few months ago, he never desired to address jihad publicly because the issues are so charged. “For the sake of keeping my message and intentions clear,” he writes, “I had decided to answer such questions on an individual basis rather than publishing a book on the matter” (p. 9). But on November 13, Paris was attacked. Then on December 2, there were shootings in San Bernardino. Then on December 7, Donald Trump proposed a temporary ban on all Muslim immigration, specifically in light of the over four million Syrian refugees seeking asylum in the West. Then on December 15, Wheaton professor Larycia Hawkins was placed on administrative leave over her controversial actions and statements about Islam and Christianity. Now, Qureshi felt he had to write a response, to chart a “better way forward, a way that upholds both truth and compassion” (p. 11). Answering Jihad is structured in a Q&A format around 18 relevant questions. The questions are broken into three parts. In Part I: The Origins of Jihad, he answers questions such as “What is Islam?”, “What is Jihad?”, and “Was Islam spread by the sword?” In Part II: Jihad Today, he answers questions such as, “What is radical Islam?” and “Who are al-Qaida, ISIS, and Boko Haram?” (Aside: After reading the scope of the violence, especially done by Boko Haram, I wrote in the margin of this section, “No words.” There really aren’t.) Finally, in Part III: Jihad in Judeo-Christian Context, he answers questions such as “How does jihad compare with the Crusades?” The book also has several appendices. The rise of radical Islam is the result of a complex blend of 50 years of geopolitics, but Qureshi argues, radical Islam is not a “new” Islam, but rather a reformation to the original of the original, a return to the roots. Thus to the question, “Is Islam—true Islam—a religion of peace?” Qureshi says no. True Islam, the Islam most consistent with its canonical texts, is not peaceful. Therefore, as part of a better way forward, Qureshi advocates seeing a distinction between the teachings of Islam and Muslims themselves, who for various reasons may (or may not) hold to some (or all) of the violent aspects of Islam. Obviously, this is controversial and offensive to many. But in the context of his detailed, historical overview, this conclusion seems fitting. I appreciated many things about the book, including how quickly the book was published. It has the contemporary relevance of a blog post yet the quality ensured by the gatekeeping of traditional publishing, which typically takes as long as 18 months. You don’t publish this book in a month or two without a team of motivated people and a gifted author who has thought deeply about the topics for a long time. Additionally, I appreciated how Qureshi rejects endless equivocation. In a fuzzy culture of supposed tolerance, he draws conclusions and makes recommendations, all without feeling like he has an axe to grind. If anything, the prose feels understated and calm, in an appropriate way. 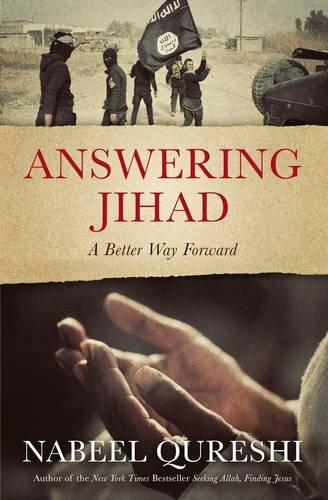 I think many readers, especially Christians, will find Answering Jihad accessible, thoughtful, and a help as we seek to “love God and love people” in a complex and sometimes violent world. It’s not a book on public policy, though it can and should certainly inform those who craft it. “My suggestion,” he writes, “is that we engage Muslims proactively with love and friendship while simultaneously acknowledging the truth about Islam. This is not the final step in answering jihad, but it is the correct first step” (p. 148). And it’s a step I, personally, want to continue to take.